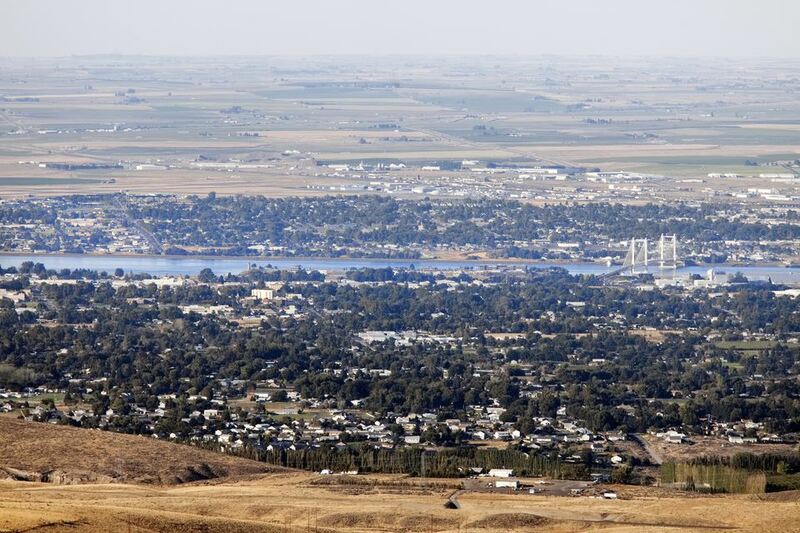 The Eastern Washington cities of Richland, Kennewick, and Pasco - the Tri-Cities - offer many opportunities to have fun. If you love spending time outside, you can enjoy such outdoor recreation as golfing, biking, and boating. Other popular Tri-Cities attractions include tasting wine and learning about regional history. Sunny skies and wide open vistas make the Tri-Cities one of the top golf destinations in the Northwest. You can choose from seven golf courses and two championship putting courses. Popular Tri-Cities public golf courses include Canyon Lakes Golf Course, Columbia Point Golf Course, Sun Willows Golf Course, and West Richland Golf Course. "The REACH" focuses on the compelling and colorful history of the area, both human and natural. Among the museum's permanent exhibits are some that take a look at the region's fascinating geology, including the basalt lava flows and the Ice Age Floods. The human history on exhibit at The REACH is equally fascinating, touching on Native Americans, Lewis and Clark, early settlement, agriculture, and the region's role in the development of the United States' nuclear weapon and power programs. As you drive through the Tri-Cities area you'll notice lots of vineyards - wine is one of the Columbia Basin's great treasures. Winery tasting rooms are open year-round; many offer additional amenities such as picnic facilities and gift shops. Special wine tasting and wine-themed events and festivals take place throughout the year. Highlight events include the Tri-Cities Wine Festival, held each November. Encompassing the last non-tidal, free-flowing section of the Columbia River in the US, Hanford Reach National Monument is made up of lands surrounding the Hanford Nuclear Reservation. Preserved from human development for over 70 years, this preserve is a haven for flora and fauna and for wilderness lovers. It has become a popular place for fishing, boating, and wildlife watching. Sacajawea State Park is located at the point where the Columbia and Snake Rivers meet, in Pasco, Washington. The park's Sacajawea Interpretive Center offers exhibits that focus on the woman's historic story, the Lewis and Clark expedition, and the Native American culture and history of the region. Hiking, boating, fishing, and swimming are among the park's recreation opportunities. The Tri-Cities' stretch of the Columbia River is one of the country's premier hydroplane race courses. The Columbia Cup races are held annually in late July. The Tri-Cities Water Follies weekend encompasses all the festivities surrounding the annual races, you can enjoy pit tours, autograph sessions, food booths, an airshow, and more. Sprawled along the north shore of the Columbia River, Columbia Park occupies approximately 300 acres. Golfers can enjoy the park's 18-hole golf course or the driving range. Outdoor recreation options include water skiing, fishing, boating, tennis, picnicking, and camping. Covering 23 miles along both sides of the Columbia River, the Sacagawea Heritage Trail is awesome for walking, jogging, and biking. Paved and accessible, this trail passes through several parks and has a number of interpretive panels addressing the science and history of the local landscape. Hanford's B Reactor played an essential part of the Manhattan Project, the research, and development project that resulted in the nuclear weapons used during World War II. This historic site, which is now safe for visitors, now offers a limited number of scheduled tours each year. Advanced reservations are required. As you tour the B Reactor facility you'll see interpretive exhibits and artifacts and learn about the role that the Hanford B Reactor played in history.